Last week, 14 members of the Fred. 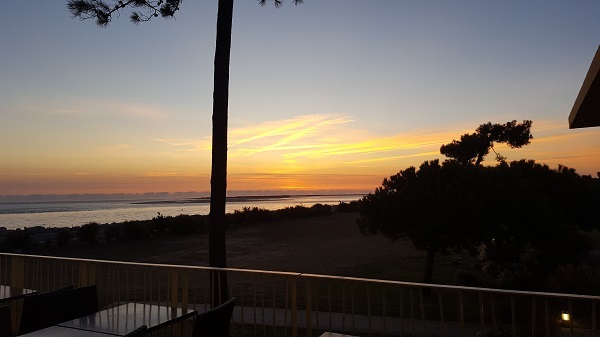 Olsen Travel team were lucky enough to be winging their way to La Rochelle in South-West France. It was time for the annual Managers’ Conference, this year held at the Club Med La Palmyre Atlantique. Club Med is premium all-inclusive and that means food, drink, sports and children’s clubs are all included in the cost of your holiday, making it extremely good value for money. La Rochelle airport is tiny and we were lucky the weather was good as we had to queue outside. Other than a small café and shop, you wouldn’t want to be delayed here as there is nothing to see or do. We were met by two drivers from Club Med for the hour and a half journey to La Palmyre Atlantique, situated on the Atlantic coast. After clearing security, the buses drove up to reception where we collected our keys to our rooms. The accommodation is situated all around the forested grounds, beneath pine trees and is in the form of small bungalows which sleep between two and six people. Our rooms accommodated four. As we opened the door, the first bedroom was directly in front of us and included twin beds. Then there was the separate toilet and bathroom, followed by the second bedroom, which had a double bed. This room looked out over the gardens and had a terrace for some private sunbathing. 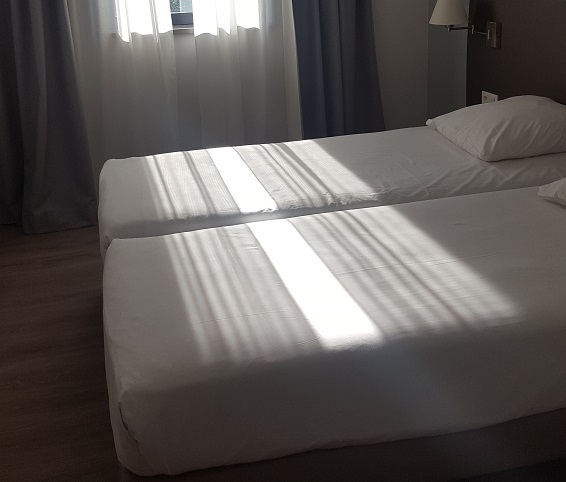 Although the rooms were pretty basic at first glance, the beds were super comfy, there was a safe, a TV, plenty of wardrobe and drawer space, dressing table and hairdryer in the bathroom. All in all, it was very comfortable. After unpacking, we had half an hour to get ready for ‘Black and White’ night. Club Med love their theme nights and, when you receive your tickets before your departure, they advise what the theme nights are so you can be ready, equipped and pack accordingly. We met at the hotel bar (where else?) and enjoyed a couple of lovely cocktails that were sitting on the bar, awaiting our arrival. Food is plentiful at Club Med - there was an outside cooking area beside the pool where the chefs were preparing canapes to enjoy with your drink. All the canapes were local specialities, such as croque monsieur and mini flans. These were all for free, making them even tastier! Delicious is the only way I can describe the food at Club Med. When we went for dinner on the first night, we were met by the ‘Chef of the Village’ who is the equivalent of Hotel Manager and ensures every guest is comfortable and happy. He warmly welcomed us and explained that all the meals are buffet style, showing us to the first food station where they were serving…wait for it…fresh oysters. I love food, especially seafood, so you can imagine my excitement at having the opportunity to try oysters for the first time. There was a chef opening them all and placing them on a bed of seaweed. Guests were piling their plates high and taking the accompaniments of red wine vinegar with onion, lemon and bread to go along with them. I took three to try and enjoyed eating them so went back for more. It was fun to see some of our team have a try too, and then watch their faces as they swallowed them down and crunch on a bit of shell! There is so much food choice, I became a little overwhelmed and found myself wandering from one food station to another, undecided at what I would eat next. There was a wonderful salad bar, cold meats, pasta, fish, hot meats, artisan bread, cheeses, ice-creams and desserts, all of which are prepared fresh by the chefs and you can help yourselves as many times as you like. I was in food heaven. Drinks are also included and we were served bottles of red, rosé and white wine, along with beer, soft drinks or water. In fact, you can pull your own pint of beer if you wish – again, as many times as you like. After a delicious meal, we all made our way back to the bar for some more drinks and a dance at the live disco. It was a relatively quiet evening, so we chatted for a while and then went to bed so we could be ready for our meeting the next day. In the morning, after breakfast, we were met by Julie, the events manager, who took us on a tour of the grounds to see the other hotel rooms and facilities. The rooms are all quite similar with a nautical theme and decor, but can sleep different numbers of guests, from two to six. The rooms that accommodate six are spacious bungalows situated behind a gated area, giving them more privacy from the rest of the hotel. These have a separate living area with floor-to-ceiling patio doors that flood the room with plenty of light. We were shown the four different conference rooms, as well as the speciality restaurant ‘Le Fleur’, which is table service and needs to be booked in advance. It is still part of the all-inclusive offering, though. We saw the spa and gym, which is well-equipped and has views of the beach from the treadmills. Julie explained there is a golf course which is payable and also bike hire from €6 for an hour. After our tour, it was time for our Managers’ Conference. It was a good sized room with a coffee machine and up-to-date technology, allowing us to include Gareth from our Westbourne branch who was unable to make the journey to France. Guess what? More food was provided during the meeting, consisting of lovely jam doughnuts and waffles. Did someone mention diet? What diet? Our meeting ended at 6pm allowing us time to go back to the rooms and freshen up for our Red and Black evening. We met again at the bar and enjoyed more of the delicious canapes before heading off to the restaurant for even more food. No oysters this evening, but there was the most wonderful seafood paella on offer, so I filled my plate and face with that. After dinner, we made our way to the theatre for the nightly show performed by the entertainment staff of the hotel. The performance had lots of energy and the cast looked like they were having a great time. We ended the evening back in the bar and disco, which was in full swing with a great atmosphere. Everyone was wearing black and red and all having fun dancing to the latest, or not so latest, tunes. I think I remember dancing to ‘Agadoo’ into the early hours. The next day, sporting a bit of a heavy head, we all met at breakfast to decide what activities we were going to be doing that day. A few colleagues and I went along to the Legs, Bums and Tums class held in one of the outbuildings near the beach. Although conducted in French, it was really good fun and we got the gist of most of it. At 10.30am, the whole team had arranged to meet at the Archery area for a knock-out competition. The instructor gave us a quick introduction and a chance to practice shooting our arrows. 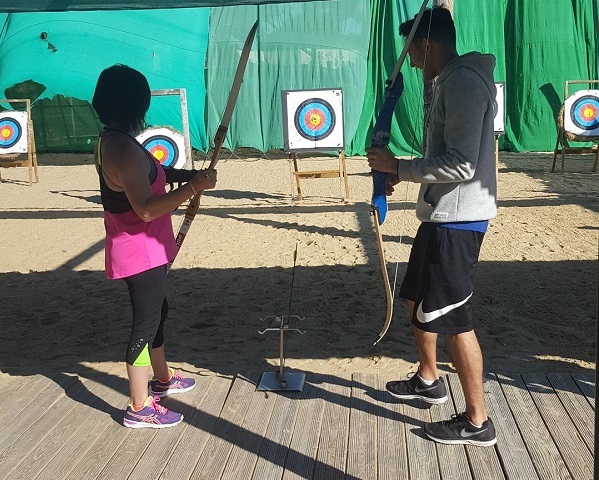 It was a really good team building experience and we all thoroughly enjoyed being a little ‘Cupid’ or Robin Hood. I was lucky enough (I can’t put it down to skill) to be in the final, but I was just beaten by the Club Med champion Matt. I still think he should have let me win. Next up was a Volley Ball. Twelve of us played for a good hour and again, had so much fun. The day was so active; we also played tennis, table-tennis, some of us went cycling, one person did the Aqua Gym in the pool and, after lunch, others, including me, went sailing. The sailing was so good; we were picked up from outside the reception and travelled just five minutes away to the sailing club to be shown the ropes – literally. All of these activities are provided absolutely free. It means the holiday is amazing value for money if you are an active person who enjoys all types of sports. After a very tiring but brilliant day, we all got ready for the evening’s Pink and White theme. Our treat was dinner in speciality restaurant ‘La Fleur de Sel’, which has breathtaking ocean views from the terrace. The sunset that evening was beautiful. This is a seafood restaurant but, as we had some people who are allergic to fish, they made special arrangements and served steak as an alternative. The seafood platter starter was the showstopper - filled with oysters, langoustines, prawns, mussels and the lovely French delicacy, snails. 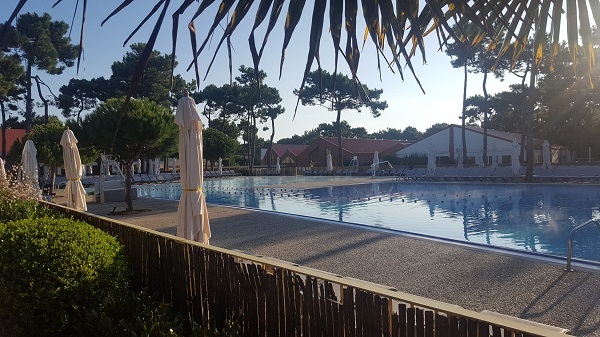 Check out the next morning was at 10am, so we spent a couple of hours by the pool with a coffee and croissant whilst we waited for our transfer to Bordeaux Airport. We were unable to fly back from La Rochelle as Ryanair do not fly every day and Bordeaux was the next option. It only takes two hours from La Palmyre. Bordeaux is another small airport, but nothing like La Rochelle. We had a good lunch here, though a little expensive, and the duty-free was very good. Overall, we all had a great time at Club Med and can highly recommend the whole premium all-inclusive concept they offer. A huge thank you to Club Med for hosting our Managers’ Conference and allowing us the opportunity to experience their fantastic product first-hand. A Club Med holiday would appeal to active couples, families or groups of friends who enjoy mixing with others and immersing themselves in sports and entertainment. I must also point out that children are brilliantly catered for with baby, toddler, young child and teen clubs on offer. Club Med has 42 properties all over the world, ranging from three tridents (stars) up to five trident luxury ratings and we would love to help you choose where you could go next. Call or email us today or drop by any of our travel shops in East Anglia and along the south coast.